I’m thrilled to announce the publication of my new book, Three Hots and a Cot, which is suggested reading for high school and college level classes in sociology, psychology, and drama, as well as for book clubs, and for fund and awareness raising activities for non-profits. You can purchase it via the Pay Pal buttons below – either as individual copies or with discounted prices applied to bulk purchases for book clubs, classroom assignments, etc. Go to the Pay Pal button at the bottom of this page for details. The book also is available on Amazon as a Kindle or in hard copy. Until 2019, Three Hots and a Cot was available only for performing arts productions as a playbook. We (some homeless folks and I) became “almost famous” when we performed these scripts throughout the Washington, D.C. Metro area and on television. 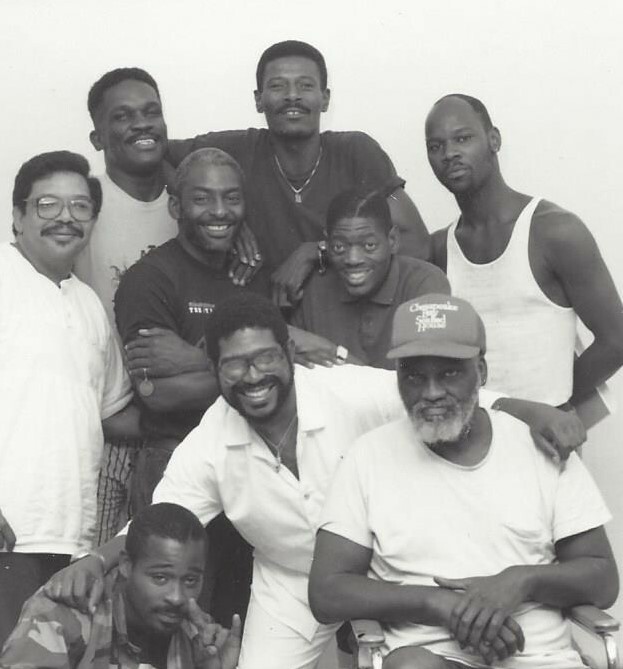 They are true stories of hardship, courage, and love among people who experienced homelessness, drug addiction, and AIDS. I scripted the biographies as monologues, and we performed them as dramatic readings. They have proven to be very valuable when used in fund or consciousness raising events in a variety of venues. I LOVE the fact that the stories have been compiled into a book for everyone to relish, and I’ll share a summary of each of the stories below to give you an idea of what they’re like, so you can decide whether to buy it on my website or on Amazon. I do hope you continue reading after these brief notes addressed to people who need the contents in playbook format. If you’re impatient, just scroll down to the next section! to purchase the Three Hots and a Cot playbook at the website for my company, My Persuasive Presentations, LLC. Below is the full description, but playbook payments are set up only on that business page. Through that page, we can discuss copyright usage permissions, numbers of copies, and see if you qualify for the non-profit discount. Thank you. Now, let’s get back to the contents of the book and the fascinating people and events that inspired me to script the real stories of normal, “everyday” people who found themselves in life-altering predicaments leading to homelessness, addiction, and AIDS. It was through them – and also because several Twelve Step programs allowed me to attend their closed meetings – that I learned invaluable lessons to use in life coaching and in counseling people in a non-judgmental, loving, and supportive way. These mini-biographies are authentic accounts of hardship, courage, and love among people who experienced homelessness, drug addiction, AIDS, and other life-wrecking hardships. They tell how “normal, everyday people” find themselves in a shelter for the destitute. Where Did We Perform the Scripts? The homeless people and I performed Three Hots and a Cot throughout the Washington, D.C. Metro Area and as far away as Richmond, VA and Kansas City, MO. 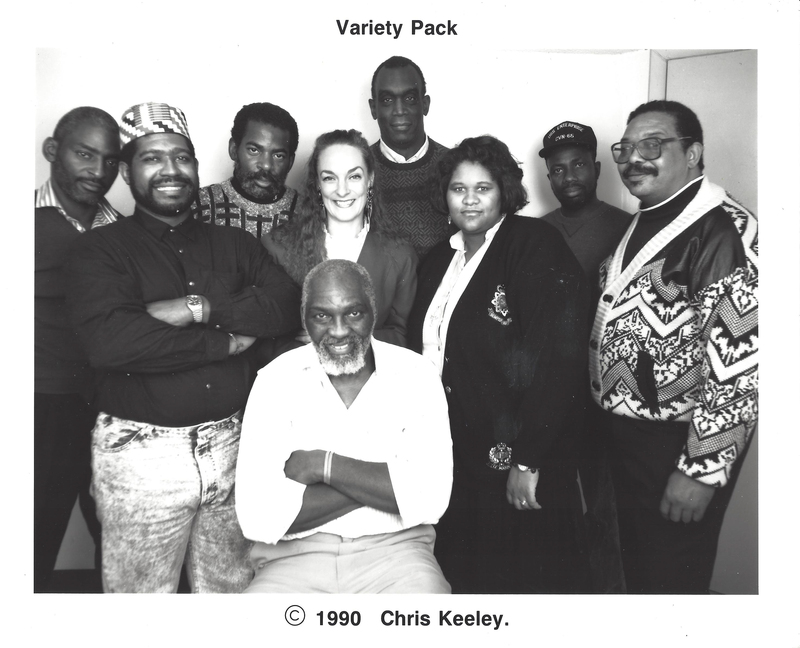 We did this under the umbrella of my non-profit, Variety Pack, which I formed to help the homeless after leaving Voices From the Streets. We performed for a multitude of educational, religious, civic, and governmental organizations, including members of Congress and a Governor’s Conference on Housing and Homelessness. Our performance also was recorded by the National Archives. One script was entered into the Congressional Record by Congressman Tom Lantos, and several were part of a cable television show which ran for months. …is an expression which homeless people may use to refer to their (often unmet) goal of each day. They spend endless hours trying to find three hot meals and a cot on which to sleep. All material is authentic and is based on actual people’s real experiences. I scripted, produced and directed the presentations for our performances, which are designed to teach people about these situations and to reveal the beauty and strength of the storytellers. The homeless “actors” were sharing about their own lives, except in one case in which we told the story of one of the children whose whole family became homeless. These homeless folks got so good that an audience member once accused me of having hired actors to pretend they were homeless! During a full-length show (1 – 1 1/12 hours), a Narrator introduces each account. But, the monologues may be performed singly, or in small groups when 10 – 20 minutes is the time limit. The approximate time for each reading is listed with each script below. You might be eligible for a discounted rate, if you purchase the book here for your book club or classroom use. You also may buy the paperback here as an individual purchase. You may purchase these stories as a book, online at Amazon. If you want to stage a performance, you may purchase the scripts as a playbook. In that format, the manuscript is on 8.5 x 11 pages with line numbers and room for notes. Go to my business website for My Persuasive Presentations, LLC, where this same kind of page is posted. Find the purchase options and link to PayPal at the bottom of that page. To get to that page, click here. Again, to purchase this in playbook format, please go to this link: https://mypersuasivepresentations.com/script-services-publications/three-hots-cot-homelessness-addiction-aids/ where I have set up PayPal options and instructions about the options. You may purchase the whole Playbook or individual scripts. If you are a non-profit and submit proof with a copy of your non-profit ID number, you will get the benefit of a reduced cost. Alternatively, anyone may purchase up to three scripts or up to six scripts of your choice. A lot of hard work and expense was involved in creating these stories; so please abide by good ethics, as well as the law, and do not distribute, post, or otherwise share the scripts without permission and payment. Thank you, and I hope you find them illuminating and enjoyable! I offer them in LOVE on behalf of the brave men and women who have experienced homelessness.